Share the post "Gardening Helps To Lift The Mood And Fights Depression"
According to a Gardeners’ World magazine Happiness Report, 80 percent of gardeners reported being “happy” and satisfied with their lives, compared to 67 percent of non-gardeners. Even the fact that gardening isn’t	all pretty flowers and a great deal of it involves manual work, was taken by the gardeners interviewed as a positive, and exercise they get from it also helped to lift mood. The survey also showed a strong relationship between the amount of time spent gardening, and respondents’ happiness scores: the more time spent in the garden, the higher their satisfaction scores. Interestingly, gardening and photography proved the most uplifting of all the hobbies. It is really recharging to completely escape and concentrate on something so intently that it was almost meditative, to be at one with nature, to exercise. Together with the act of gardening, gardeners were also satisfied and happy with the result of having a nice garden, where you can walk around and enjoy, a place to sit on a summer’s evening and enjoy a drink. Another aspect of gardening which people enjoyed and which gave them a real boost in mood was growing, harvesting and cooking their own food, and that was something they could share with their families. 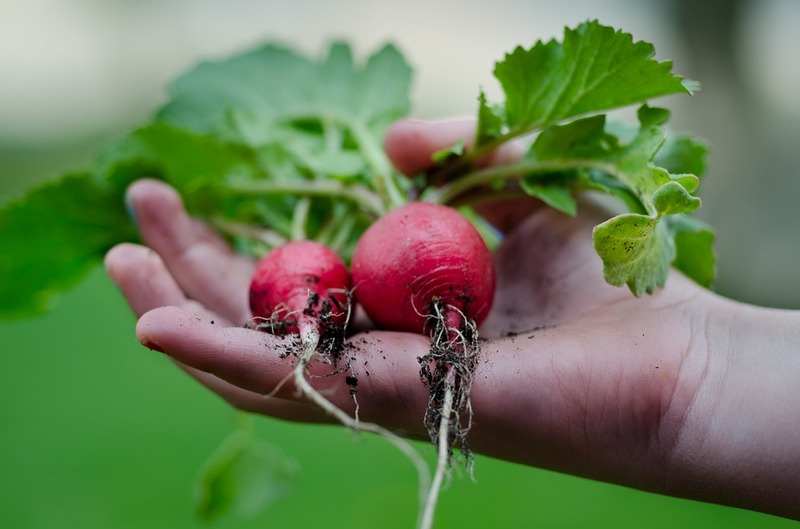 Gardening is also always a work in progress, and requires to continuously plan for the future, and this adds even more to the positive effects of gardening. Planning gives something to think about even in winter, when many people experience depression and emotionally not stable, as the days get shorter and colder. Even more to that, a bacterium have been found in soil which appears to be a natural antidepressant and has no adverse health effects. Mycobacterium vaccae may stimulate serotonin production, which makes you relaxed and happier. Dr Christopher Lowry, a neuroscientist at the University of Bristol in England, and his colleagues reasoned that this effect could be caused by activation of neurons in the brain that contained serotonin, and we all know that the lack of serotonin in the brain is thought to cause depression in people. Some researchers have proposed that the rise in asthma and allergy cases over the past century stems, unexpectedly, from living too clean. The idea is that routine exposure to harmless microorganisms in the environment, like, for example, soil bacteria, trains our immune systems to ignore benign molecules like pollen or others. So, all being said, keeping a garden can also improve your health by providing you with fresh, healthy food, and cut your grocery bill. Don’t hesitate to start your garden, as you don’t need vast amounts of space. You don’t even have to have a backyard. If you live in the apartment, you can create small but well-stocked edible garden as well. For sure, your small indoors garden will make you much happier in the urban environment. Researchers have proved if you live in the city, you have a much higher risk of experiencing episodes of depression or displaying signs of anxiety than your rural-dwelling counterparts. There are so many creative solutions around that will allow you to make the most of even the tiniest space, your windowsill or a balcony, for example. Another idea is to start growing sprouts, and in about one week you will have food, which provide so much nutrition, that you can harvest and eat. Turning off your computer or TV, and spending some time outdoors or working on your small space garden may not only be good for your health, it may also make you happier. There are several great books available online to buy and learn how to grow edible crops in small spaces. 1. Indira Naidoo is one of Australian television’s best-known broadcasters and journalists. She gets on a mission to transform her tiny 13th-floor balcony into a bountiful kitchen garden, and establishes a productive urban oasis that takes just 10 minutes a day to maintain, yet provides her with an ever-changing selection of fresh fruit, herbs, and vegetables. With plenty of practical advice, The Edible Balcony book will inspire even the most reluctant green thumbs to channel their inner gardeners and reconnect with nature. 2. Alex Mitchell is a writer, a former gardening columnist for the Sunday Telegraph, and gardener who has grown her own fruits, vegetables, and herbs for many years. In her book The Edible Balcony, Alex Mitchell describes how to grow fresh herbs and vegetables in small spaces. The book is full of beautiful color photographs, the book shows how to transform whatever space you have, from a balcony or rooftop to a fire escape or window box, into a profusion of fresh, seasonal produce. all inside your own home, where you won’t have to worry about seasonal changes or weather conditions. Full of great photography and more than 200 pages of Do-It-Yourself in-home gardening information and projects, Indoor Kitchen Gardening is a good choice to learn this exciting new growing method. 4. Gayla Trail is a gardening guru from Toronto. She is the author of three books on gardening: You Grow Girl: The Groundbreaking Guide to Gardening, Grow Great Grub: Organic Food from Small Spaces, and “Easy Growing: Organic Herbs and Edible Flowers from Small Spaces as well as an in-demand gardening personality and spokesperson with a focus on urban gardening, growing food, sustainable living, and community. Your patio, balcony, rooftop, front stoop, boulevard, windowsill, planter box, or fire escape is a potential fresh food garden waiting to happen. In Grow Great Grub, Gayla Trail shows how to grow your own delicious, affordable, organic edibles virtually anywhere. You can use virtually every square foot of your space. Just start small, and gradually add another container or pot of something else. Hanging baskets are great for a wide variety of foods, such as leafy greens, runner beans, pea shoots, tomatoes, strawberries, and a variety of herbs. Use your window boxes not only for flowers but to grow herbs, greens, radishes, peppers, scallions, bush beans, and other things. Before you know it, large portions of your meals could come straight from your own ecological edible garden.